What is one of the most important strategies in content marketing? Video. This should come as no surprise as social media platforms like Facebook, Twitter, Snapchat and YouTube are developing tools for brands and publishers to create engaging video content. Though video content started off in commercial and produced formats, there has been an increasing shift towards more live streaming. So why are brands and influencers embracing live streaming? Because it enables companies to add business value for their target audience and increase exposure at a very low cost. Before jumping on the live stream bandwagon, ask yourself this: are you willing to embrace conversation and are prepared to be very transparent? If you’re looking for a way to connect with your audience in real time, then live streaming is your answer. Live streaming is the best solution for engaging with an audience and sharing your brand story. Studies show that consumers prefer to buy from brands they trust. Live streaming builds consumer trust because it engages viewers in an authentic and transparent way. This personal and raw human element gives a face and voice to the content, something that cannot be communicated in writing or in other social media formats. There is no greater example of how video can build consumer trust than Patagonia’s Footprint Chronicles Project which showcased each step of their supply chain process. Though this video is professional produced, it serves as an example of how you can use live-streaming to show candid moments and processes. When you share your stream, you can receive both positive and negative feedback. But being this transparent gives the impression of a trustworthy brand. If your objective is to increase engagement, look no further than live streaming. Despite our short attention spans, videos on Facebook Live get viewed for three times as long as pre-recorded videos. This is because viewers can participate and contribute to the conversation in real-time through likes, favorites and comments. Live streaming videos are also easily shareable and thus brands can attract new followers in a more organic way. There is no need to ramble on here. To live stream, all you need is a good internet connection and a quality smartphone. Your chief financial officer will love you. Customer service is one of the most valuable assets a company can have. Take your support outside the guarded walls of tweets, comments, emails and phone and hold live office hours to answer consumer questions. Demoing a new product gives your fans a quick and visual understanding of how the product/service works. The live stream format also allows viewers to ask questions and get answers in real time. Live-streaming events is very common for conferences and presentations. Because streaming can reach and attract an audience beyond current attendees, companies hope to convert those viewers into future paying attendee members. FOMO is a powerful tool. Live streaming behind the scenes content builds trust and transparency with customers. It is also an opportunity to highlight your company culture to attract new talent. Streaming interviews with industry leaders and influencers position your brand as a thought leader in your respective niche. Like live events, streaming interviews makes the discussion available to a larger audience and encourages additional conversation. Your live stream video is an incredibly powerful piece of content. Upload it to YouTube, share it to other social platforms and embed on a blog post. Live streaming might not be the first thing you think of when it comes to boosting engagement within your company. But brands such as Lululemon are leveraging this content type to bring their international workforce closer together and boost engagement, which can help (watch the featured webinar here). Stream company-wide events, speaker series and leadership meetings. This is especially important for large corporations with region and global offices. Host town hall style meetings to emphasize company culture and receive feedback from employees regarding important issues. Once you’ve decided to add live streaming to your marketing strategy, it’s time to choose which channel to use. You have many choices of streaming platforms which have their pros and cons. Therefore, it’s important to consider your objectives and select a platform that will help you accomplish your specific marketing goals. Due to the size of its user base, Facebook Live has the greatest potential reach. If you have built up a following, you can tap into your existing fans from the get-go for instant exposure. Additionally, users often come across content from pages and people they don’t follow because it’s either recommended by Facebook’s algorithm or a friend engaged with the content. Therefore, you can expand your audience beyond current followers. The social network’s expansive user base is also a melting pot of diverse interests. This is a benefit because it allows you to fine tune and test topic ideas to determine the right fit for you. Another reason to choose Facebook Live is for its massive user engagement. According to Facebook Head of Video Fidji Simo, about 20% of all videos on the channel are live, with the time spent watching them having grown 4X over the past year. To get step-by-step instructions on how to get started on Facebook Live, click here. 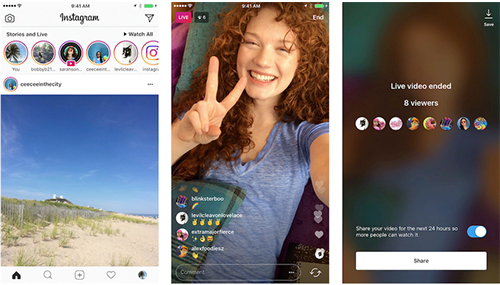 Unlike Facebook, Instagram Live is good for short term video content. In a recent survey, about 2/3 of viewers prefer video that’s under one minute. So, if you’re considering streaming only quick updates or previews and hellos, Instagram Live is probably the right fit. Click here for a step-by-step guide on how to start an Instagram Live stream. Like Facebook, streaming on YouTube is great if you already post videos to your channel and have a large subscriber base to tap into. And because YouTube is owned by Google, there is the added benefit of using the best analytics to gain insights into who’s watching and learn how to optimize. One strategy for using YouTube Live is to use your live streams to complement published videos. Watch this video and follow along for steps on how to start streaming on YouTube. For additional resources and training, Google offers a one-hour online course on the basics of streaming. Now that you’ve chosen a platform and topics to kick-off your streaming strategy, there are a few things to consider prior to tapping the START button. To determine the best time to stream, consider the daily routine of your target audience and estimate when those viewers would be available to watch. However, there is no way to know the best time until you start streaming. Throughout your first months, test different times and days you think would result in the highest engagement. 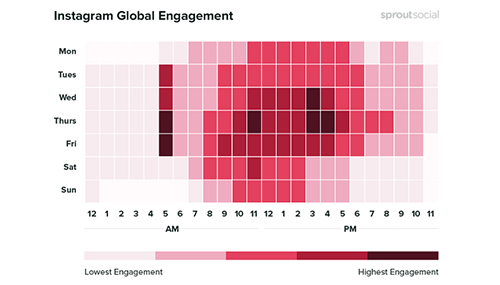 Over time, you’ll collect enough data to know which time/day combinations are right for your target audience. Like any form of written content, your streaming title should be both attention-grabbing and relevant. When writing a title, match it with a solution to your audience’s pain point and consider what your viewers are searching for on Google. But more importantly, write like a human, not a robot. If you’re struggling, use video SEO tools like vidIQ to guide you. Lastly, it’s recommended that you don’t reference number of followers, viewers or subscribers. One of the major benefits of live streaming is to build trust. Mentioning statistics in the title comes across as spammy and self-promotional. There is nothing worse than having your feed cut off mid-stream because your battery died. Prior to starting your stream, backup and check everythingꟷbatteries, Wi-Fi connection and internet upload speed, and lighting. To avoid these common errors, always do a sound check and if possible, have a buddy nearby monitor/follow along during the stream to make sure everything is running smoothly. If it’s helpful, you can print this checklist to ensure you’ve dotted your I’s and crossed your T’s. Though Facebook and Instagram will send a notification to users who follow/like your page, don’t rely on this message for viewers to tune in. Hype up and promote your stream as far out as two weeks. Then continue to mention the stream periodically; one week before, a few days before, the day before and the morning of. People are busy, so you need to hit them multiple times. Because live streaming puts brands in a vulnerable position, it is best for those who are open to taking risks and willing to embrace the transparency movement. Therefore, to be successful at streaming, you must be your real and authentic self.